Costco is taking Polish hot dogs off its food court menu. Fans are grieving – and angry. At Costco, where the American Dream is sold in bulk, you can buy a bathrobe, a new set of tires, a 7 1/2-pound jar of steak seasoning and a 36-roll box of toilet paper. And while you're prowling the aisles for giant containers of food, you can eat: The brand's food court has a cult following for its steep deals on snacks and fast food. But there's trouble in bulk-discount paradise: The brand is removing a fan favorite, the Polish hot dog, from the menu. The store is replacing it with such healthier fare as acai bowls, which proves that people who run the Costco food court have no idea why people come to the Costco food court. It certainly isn't to get a refreshing acai bowl after buying a 100-pack of frozen chicken nuggets or a drum-sized container of chocolate-covered pretzels. A Polish hot dog is kind of like a regular hot dog, but in the language of the internet, it is thicc. It is technically a kielbasa. 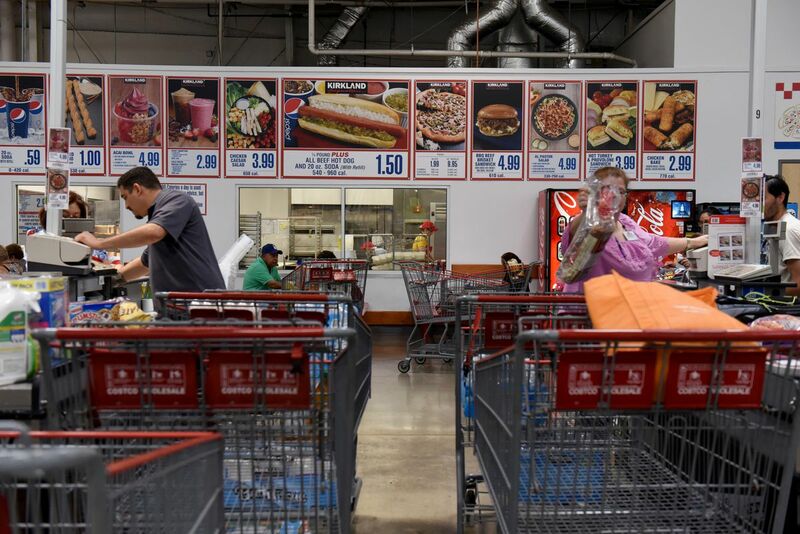 Business Insider reports that a backlash to the Costco menu changes has begun: Fans have been expressing their displeasure on social media, and a Change.org petition was gathering signatures to bring the dogs back. The changes have been rolling out across stores nationwide, and some ditched the Polish hot dog weeks ago. The Costco membership population is rapidly progressing through the five stages of grief right now. Denial ("How could you do such a thing? #boycottcostco"), anger ("Vegans out here ruining Costco"), bargaining ("I just wanna talk to whoever made the executive decision to get rid of the Polish hot dog"), depression ("Costco removing the polish hot dog sounds like a nightmare but it's reality. I'm speechless."). They haven't yet reached Stage 5: acceptance. Anyway, don't panic: The regular – skinnier – all-beef hot dog will remain on the menu for $1.50. The Polish hot dogs will still be sold in bulk, the Seattle Times reported. Representatives from Costco have not yet responded to a query from The Washington Post about whether the outcry on social media could persuade the company to reconsider. But even the company's top leaders don't seem very convinced that the new health-focused menu will be popular. "This new plant-based protein salad, I know that excites you," said chief executive Craig Jelinek at a shareholder meeting, according to the Seattle Times. "But it is healthy. And, uh, actually, it tastes pretty good, if you like those kind of things. I tried it once."